This school starter kit has everything a child needs for starting school with a dairy allergy. 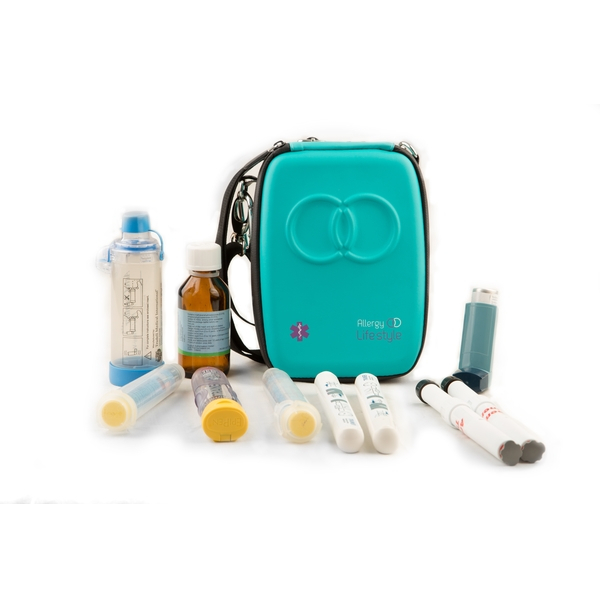 Our highly rated AER case is perfect for storing adrenaline pens and other medications at schools,. It contains guides for recognising allergy and anaphylaxis symptoms and for administering adrenaline. 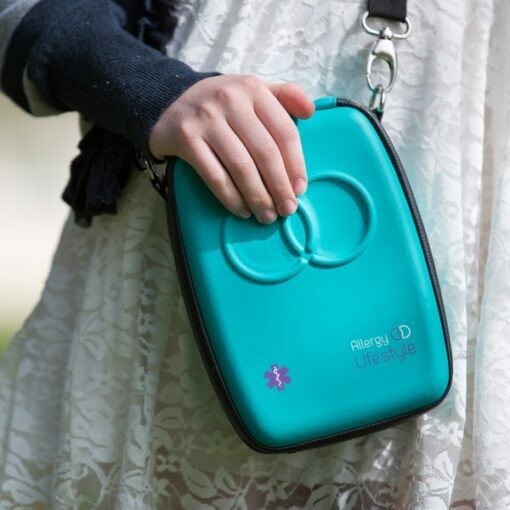 It can hold two adrenaline pens, a bottle of anti-histamine, an inhaler and a small spacer. The Dairy allergy bracelet is cute and bright to attract attention to your child’s dairy allergy while still being a cool accessory for school. The allergy keychain lets others know where your child’s EpiPen/Allergy meds are stored. 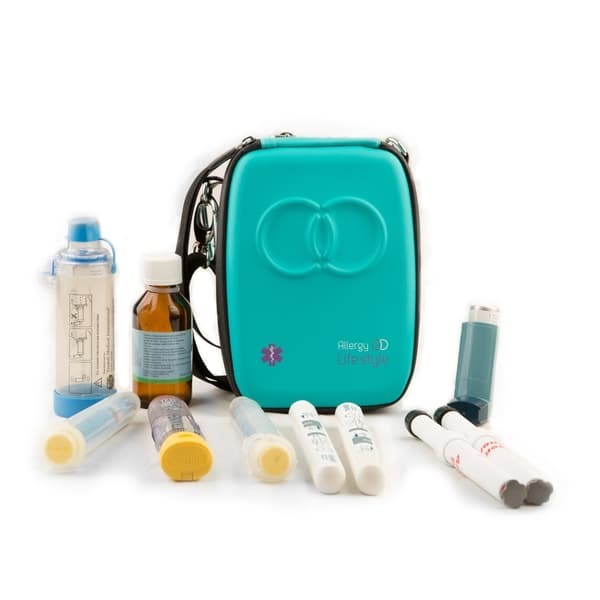 Anaphylaxis Emergency Response Case (AER Case). Managing anaphylaxis or severe allergies? Do you worry that whoever is in charge would know what to do in an emergency? 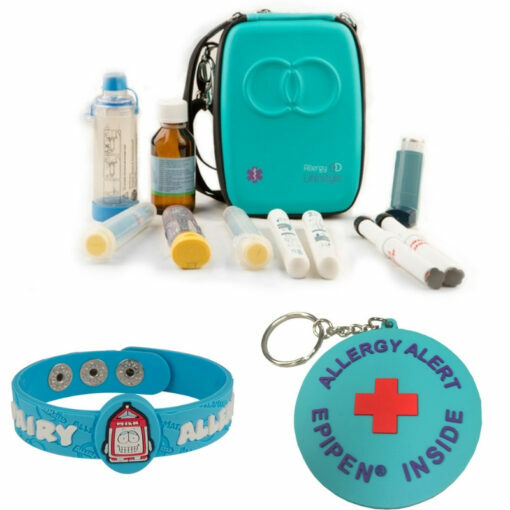 The AER Case EpiPen holder comes with easy to follow illustrated guides on recognising allergy symptoms & the use of your adrenaline auto injectors (Epipen, Jext, Emerade & Anapens). Store your medicines in our kits and you’re good to go. Dairy Allergy Wristband – Kids. 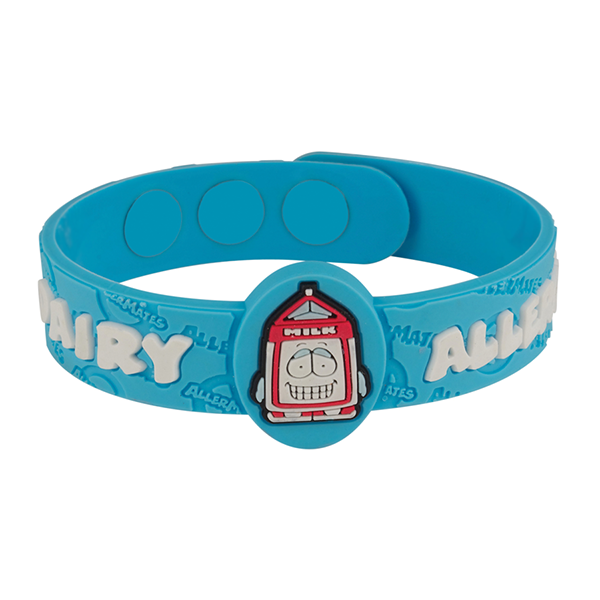 This bright and fun dairy allergy wristband is eye-catching so caregivers remember your child’s dairy allergy. Save money by buying everything your dairy allergic child needs for school in one great bundle!